A look at performance and price points for the top Nvidia graphics cards as the GTX 1080 Ti lurks around the corner. The end of the year is one of the best times to find deals on PC components and peripherals. 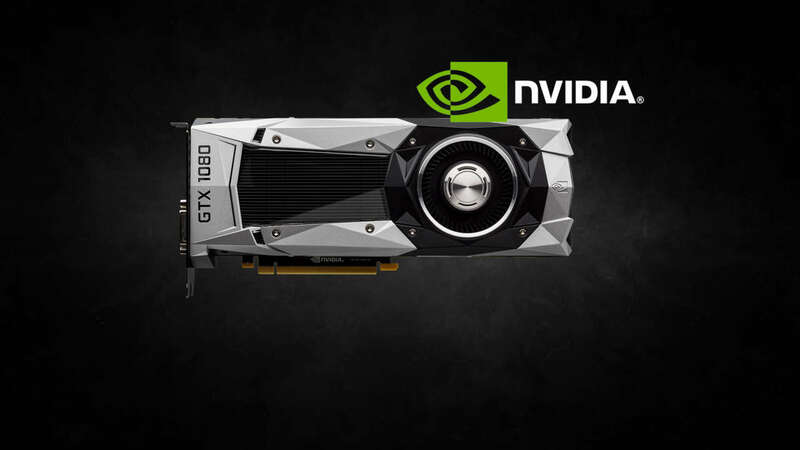 This year, a topic that has been seeing a fair amount of debate is whether to purchase the GeForce GTX 970, GTX 1080, GTX Titan X, or wait until the release of the rumored GeForce GTX 1080 Ti. 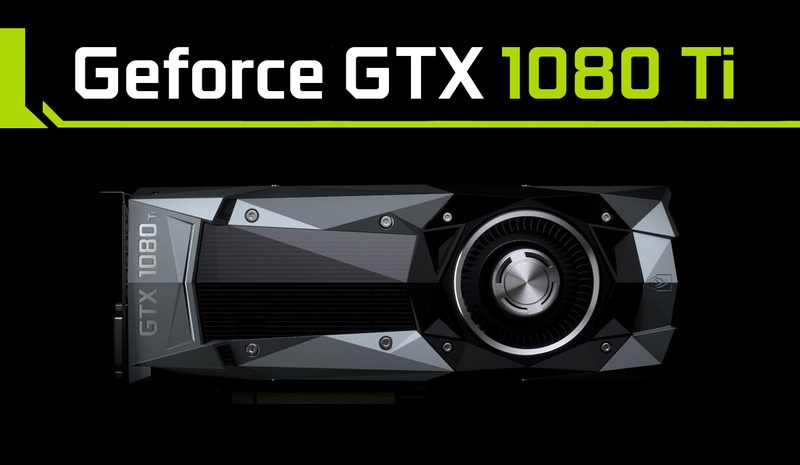 Said to be officially revealed sometime early next year, perhaps even as early as January, the GTX 1080 Ti will reportedly be the final iteration of Nvidia’s current generation of Pascal graphics cards (before the shift to Volta). In regards to specs, hints have cropped up online suggesting that this high-performance card will feature 3328 CUDA, a 1.6Ghz boost clock, 12 GB of GDDR5X RAM, and a sizeable 10.8 TFLOPs of horsepower. The rumored Nvidia GeForce GTX 1080 Ti. Because of its stats and reportedly fair price point (cheaper than the GTX Titan X), there’s a chance the GTX 1080 Ti may render the GTX Titan X obsolete. Whether the speculation surrounding this card comes to fruition or not is something that we’re setting aside for now. Instead, we want to focus on the cards currently available on the market and how they’ll hold up with the release of newer components next year (like the GTX 1080 Ti). After all, with the technology increasing at a rapid pace (including the rise of VR), PC gamers are going to need to stay ahead of the curve wherever possible. 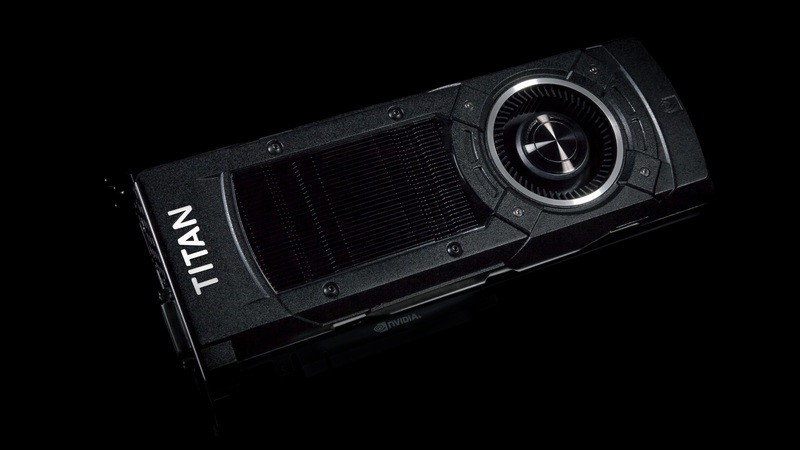 The Nvidia GeForce GTX Titan X. 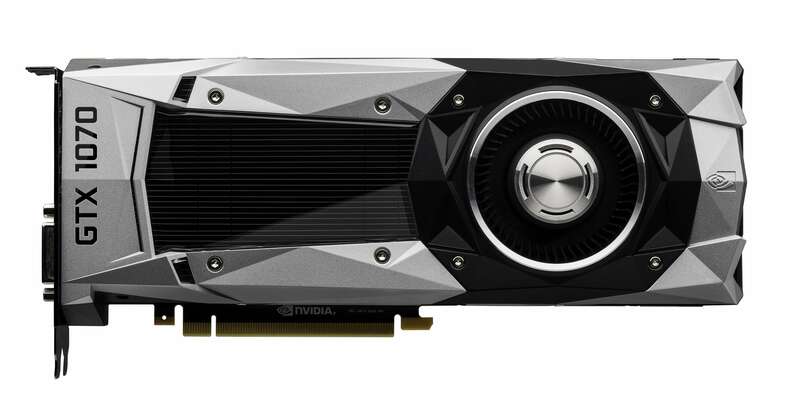 First, let’s look at Nvidia’s head of the pack, the Nvidia GeForce GTX Titan X. The Titan X graphics card is currently priced at $1,839.99 on Amazon making it one of the most expensive cards on the market. However, for some gamers, this expense is well worth it when it comes to sheer, unmatched performance. The GTX Titan X is undoubtedly the option to choose if you’re looking for a high-performance graphics card. The only thing to consider is whether or not the GTX 1080 Ti will indeed make this card obsolete. If that’s the case, we feel you may be better holding off on purchasing the GTX Titan X. Especially considering the current price point for the GTX Titan X is only marginally lower during the holiday sales. The Nvidia GeForce GTX 1080. The younger sibling of the fabled GTX 1080 Ti, the GTX 1080 is one of the highest selling graphics cards on the market right now. This card is fairly priced, coming in at around $649 on Newegg and $682 on Amazon. The specs are definitely not as impressive as the formidable GTX Titan X, however, you’ll get adequate VR performance with the GTX 1080 for more than half the price. If you’re looking for a high-performance card, but don’t wish to shell out almost two grand on the GTX Titan X, the GTX 1080 is definitely a solid option. In fact, the card runs little risk of being affected by the release of the GTX 1080 Ti as it’s not in direct competition like the GTX Titan X. Instead, the only factor to consider is the possibility of the GTX 1080's price point dropping a bit more. If you’re alright with the current price and have no desire to wait on rumors, you can’t go wrong with the GTX 1080. The Nvidia GeForce GTX 1070. This graphics card is the best budget card. The performance it delivers is below the GTX 1080, however, not to such a degree as the GTX 1060. If you cannot afford the GTX 1080, the GTX 1070 comes in at $409 on Amazon. Be sure to compare the GTX 1070’s specs with the GTX 1080 when determining which card to purchase. If you’re alright with a bit of a performance dip, the price of this card really is superb. As you can see, both cards utilize the Pascal GPU architecture, though the GTX 1070 will be somewhat slower than the GTX 1080. However, the base and boost clock speeds rank about even, and the GTX 1070 has been vetted to adequately run VR systems. The Nvidia GeForce GTX 1060. Last but not least, we have the GTX 1060. Note that we don’t recommend utilizing an Nvidia graphics card below the GTX 1060 on a brand new computer build. The reason for this is purely in the specs and overall price point. 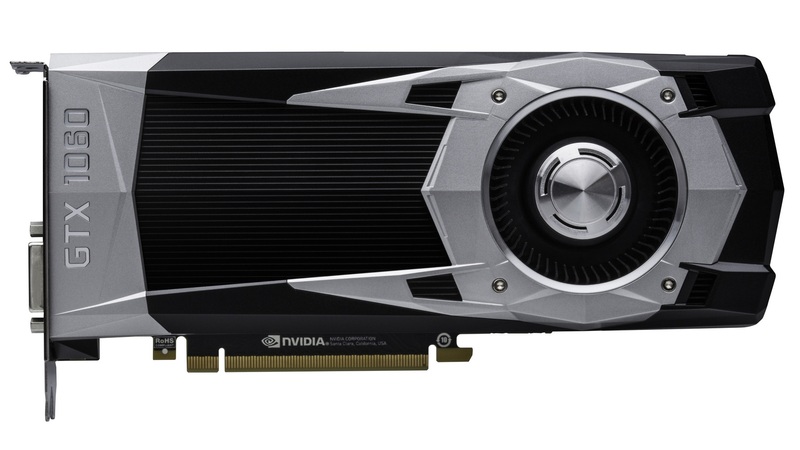 The GTX 1060 is an extremely affordable card, one that’s currently selling for $259 on Amazon. The GTX 1050, GTX 980, and GTX 970 are not bad cards by any means. Yet if you're looking to build a new computer capable of handling the advanced technology coming out within the next 3-5 years, the GTX 1060 is really the lowest card we’d recommend buying. Whether you take this advice or not is entirely up to you. At the moment, the best card for the price would be the GTX 1080, though if it’s beyond your price range the GTX 1070 is a fair alternative. We don’t recommend a graphics card below the GTX 1060 for a brand new computer build. Furthermore, if you’re looking to max out your computer build with a card like the GTX Titan X, we strongly recommend waiting until the end of January 2017. If the GTX 1080 Ti indeed releases at that time, the price for the GTX Titan X may fall. That, or you may find the GTX 1080 Ti better suits your gaming needs. For more on gaming technology here at Indie Obscura, be sure to check out some of our previous features including the five best PC gaming mice, learn more about AMD's Polaris GPU announced at this year's PC Game Show, and whether or not you should purchase the PlayStation 4 Pro.